At the most general level, exoplanets, or planets beyond our solar system, are categorized based on distance from the star around which they orbit and their temperature. This places them in one of three zones: Hot Zone, Warm Zone, or Cold Zone. The exoplanets are also distinguished by size and composition (rocky “terran” planets vs. gas giants like Neptune and Jupiter). As in the actual periodic table, each exoplanet category has a number assigned to it, which indicates how many of a particular kind of planet have been discovered. According to the Periodic Table of Exoplanets, there are 53 known exoplanets with the appropriate size, temperature and features such as liquid water and a stable atmosphere to potentially host life as we know it. “Unfortunately, we don’t know yet if they also have the right amount of water (e.g. oceans) or the right atmosphere for life too,” said Méndez‏. 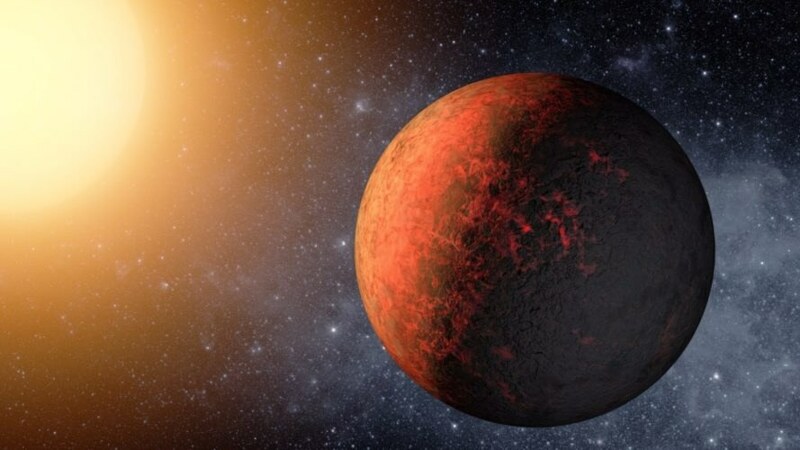 As for the disproportionate number of hot planets on the Table, Méndez‏ explained that this is due to the relative ease of discovery for hot planets and not necessarily because there are more of them. 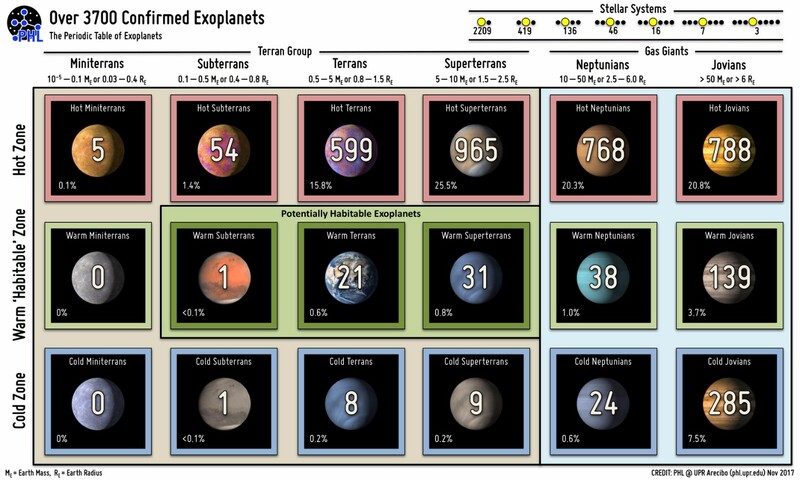 The Periodic Table of Exoplanets offers a simple visualization to explore the known universe. Kepler-20e was one of the first Earth-size planets discovered by scientists.